Introducing Rasco’s FR Heavy Quilted Bib Overall with HiVis Reflective Safety Tape for cold, cold weather. Two inch yellow/silver/yellow reflective contrasting tape on the front and back for 360 visibility, great for H2S locations and areas that require HiVis Safety. 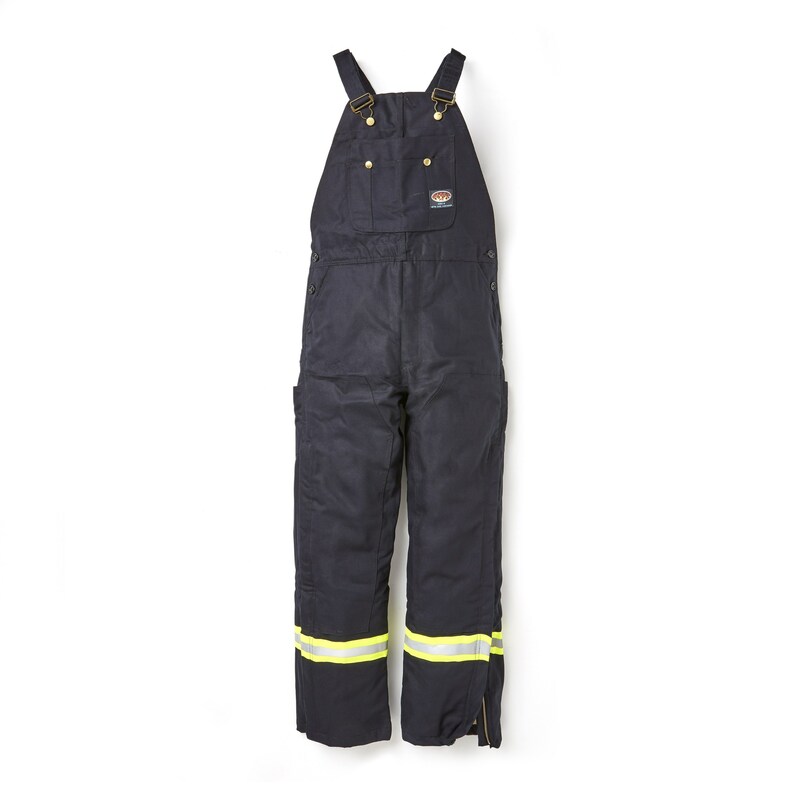 These Rasco FR Black Bibs have 10 oz FR Black Outer shell, with 7.5 oz Quilted Twill Lining along with 5.7 oz Modacraylic Insulation our Heaviest Bib overalls to date. Rasco FR has a reputation of continuous improvement with this new edition to our FR Outerwear Rasco FR continues to protect those in the Electric Utility, Oil Field, Gas Field, Petrochemical, and Welders, other Workers from electric arc flash and flash fire hazards. Sizes: 34 to 58 waist size, and length available 30, 32, 34, and 36.